them succeed. That, in a nutshell, is the job that Benjamin Dean and I have been hired to do as SparkPost Developer Advocates. People often ask me what I do as a Developer Advocate. My primary responsibility is to explain the awesomeness of the SparkPost API. 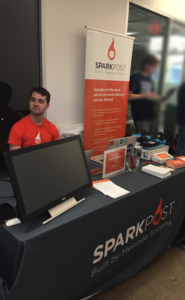 I travel to conferences and hackathons to promote the API and educate developers about SparkPost. I share the Message Systems story, give demos, and present use cases. My goal is to explain that although SparkPost is a fairly new product, we have 15 years of experience and expertise behind SparkPost, and our APIs make it easy for developers to get ahold of all that awesomeness. In the case of hackathons, I have the pleasure of meeting lots of you, not to mention giving away cash and prizes to developers who demonstrate innovative uses of our API. Most recently we awarded a Parrot Bebop drone at AngelHack Brooklyn. 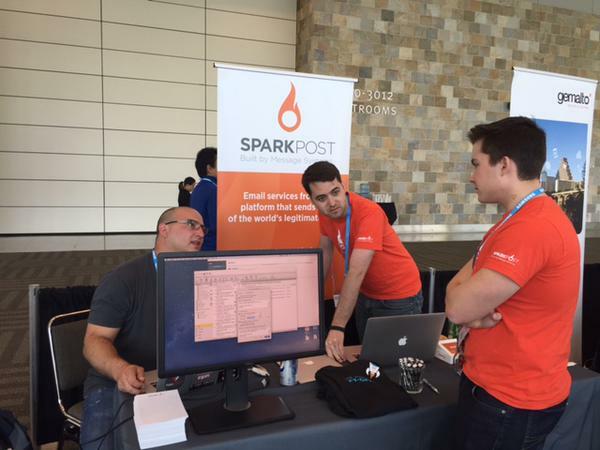 As a Developer Advocate, I’m also responsible for ensuring developers’ success with the SparkPost API. Sometimes that means working with the support team to identify common issues. If we see trouble tickets for a particular category and think something could be clearer, we’ll write a blog post or create a tutorial video to make the product even easier to use. We also network with developers and answer questions via email, Twitter, GitHub, StackOverflow, and Heroku (we recently entered beta as an email add-on in Heroku). Ultimately, however, it’s about having face time with the community and building rapport with you as developers. Benjamin and I strive to build our knowledge beyond SparkPost and serve as true thought leaders so that we can deliver more value to the developer community as a whole. I look forward to meeting you face to face one of these days. Follow me at @aydrianh to find out about where we’ll be next. If you liked this post, you might like to read how our own Aimee Knight went from figure skater to engineer in “I Look Like An Engineer” by Aimee Knight.